Cruising down the coastline looking at the bright city lights is a novel experience, one which you cannot miss when in Oman. Imagine yourself on having dinner on a Dhow Cruise with the fascinating lights along Oman’s coastline with Music and Tanura Dance show with a sip of your favorite drink and BBQ buffet dinner. 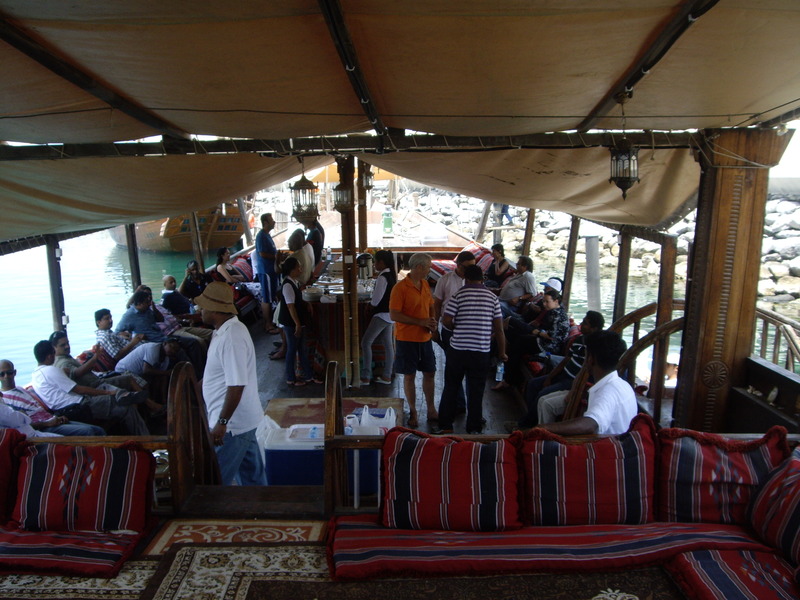 A dhow cruise is a perfect escape into the night when in Oman. Shimmering lights, pleasant sea breeze and a rich stream of passing nocturnal traffic will greet you from every direction. As you lap up the first-class hospitality and delicious food on board your cruise, you’ll get the true sense of a nightlife beauty. Rounding off the experience will be a cool, tropical breeze and romantic candlelit ambiance, making this a simply unforgettable occasion. The cruises are all set to depart after sunset and dock again by 11 PM local time and can hosts 20 people onboard. 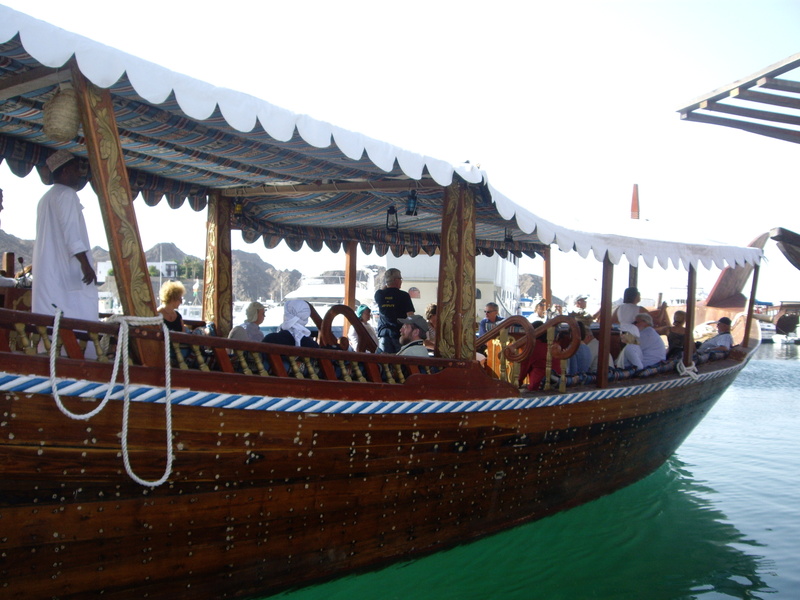 However, there can be made special arrangements for private cruises upon request. 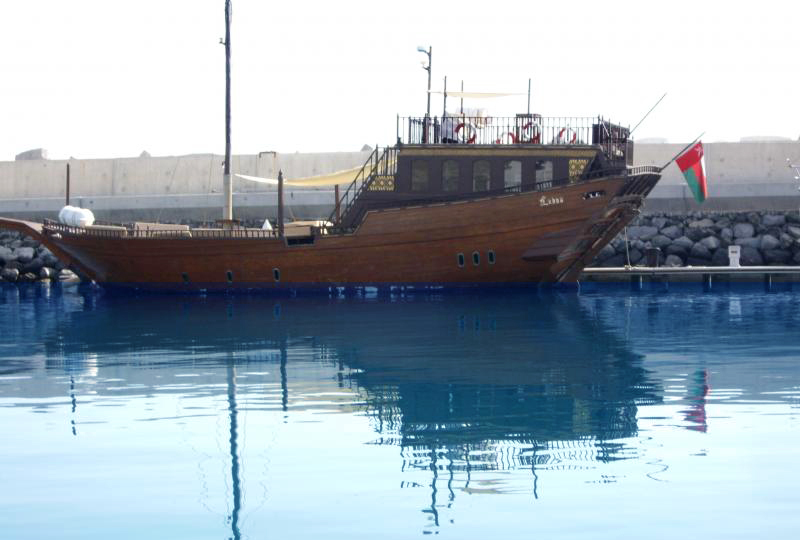 All facilities are priced well and are sure to offer a fantastic experience for all marine lovers. This activity can also be coupled with a Muscat city tour to get well acquainted with the city and take your visit to Muscat to another level! We at Arabica Orient Tours can help you from choosing and booking the right cruise to making your hotel reservations and providing transfer to and from the airport or hotel and anything else to make your travel more comfortable.